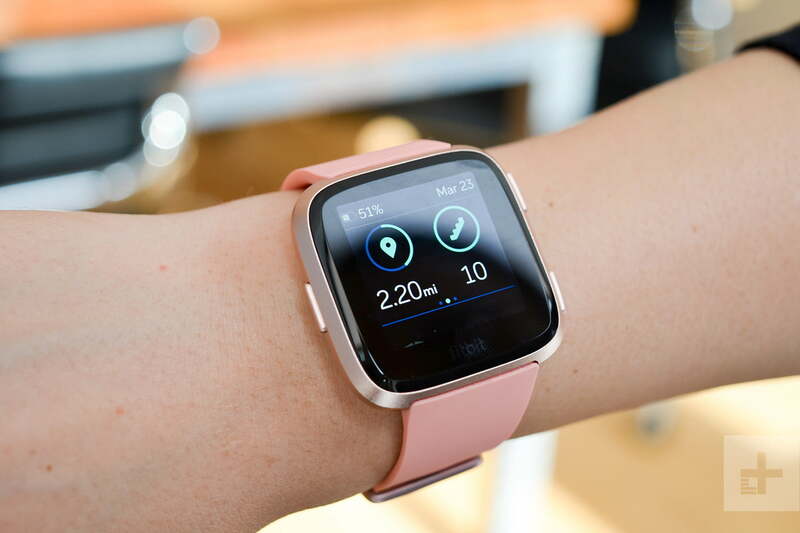 Since the Fitbit Versa launched in April, there’s rightfully been a good deal of buzz around the new smartwatch, which is a fitness-lifestyle hybrid comparable to the Apple Watch. The sleek device features a crisp color touchscreen, shiny aluminum case, and aesthetically pleasing angular design. But perhaps the one feature which hasn’t received the attention it deserves is the device’s conveniently interchangeable wristbands. Out of the box, the Versa comes with a basic silicone band that’s water-resistant and available in three different colors. However, you can also order replacement bands in various materials, shapes, sizes, and colors. 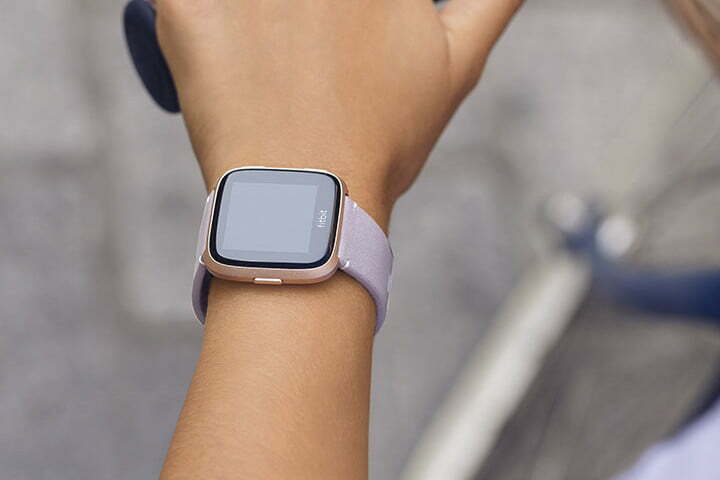 That means you can wear a fitness-focused band when you hit the gym and swap it out for a metal or leather option when you head to work or happy hour. Fitbit offers plenty of options to choose from so we’ve gathered the best Fitbit Versa bands to help make the decision process easier. Tanned in Chicago using vintage techniques, this elegant Horween leather band offers a sophisticated look for the Versa, allowing you to wear it in either the office or at cocktail hour. The full-grain leather, which is hand-crafted with top-grade oils and dyes, is available in four classy color options including cognac, lavender, midnight blue, and saddle stitch. Each band is lightweight with detailed stitching and a versatile design that can easily be dressed up or down, depending on your activity and attire. If you’re going for a dressier look, Fitbit’s silver, stainless steel option is a fantastic choice that lends a sharp, stylish appearance to your wardrobe. The premium metal is made from surgical-grade stainless steel tapered links which come together into a sleek band. They’re fully adjustable, meaning you can easily customize the fit specifically to your wrist and the satin finish is available in black, silver, or tapered silver. The only drawback to this band is that it’s not sweat- or water-resistant, so you need to limit it to dinner parties or social events. When you hit the gym, switch back to the original. Made of a flexible elastomer, this band is soft and lightweight enough that you’ll barely feel it on your wrist — it’s even fully waterproof, capable of swimming laps in the pool with you. This is one of the bands which comes standard with the Versa (assuming you select the regular tracker and not the special edition) and is the choice you want to wear while working out. It’s available in five colors including peach, gray, black, periwinkle, and white. Constructed with ultra-comfortable Milanese loop mesh, this stainless steel band provides a sleek, polished look that’s stylish without being ornate. It’s lightweight and malleable, forming to the contours of your wrist without bunching up or pinching. The steel-woven band features a durable magnetic clasp that’s easy to put on and fully adjustable. This option is perfect for when you want something to wear to work that won’t look too dressed-up when you meet with friends later. 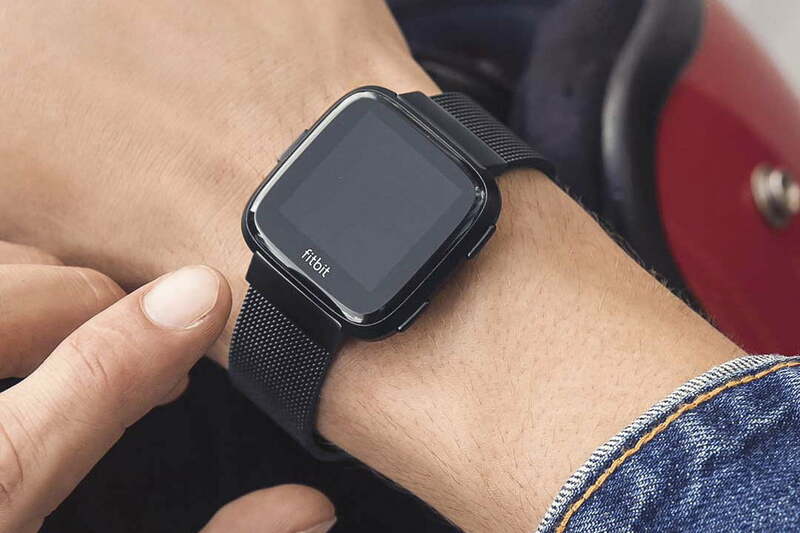 This modern-chic woven nylon band is the one that comes with the Fitbit Versa Special Edition watch (SE). 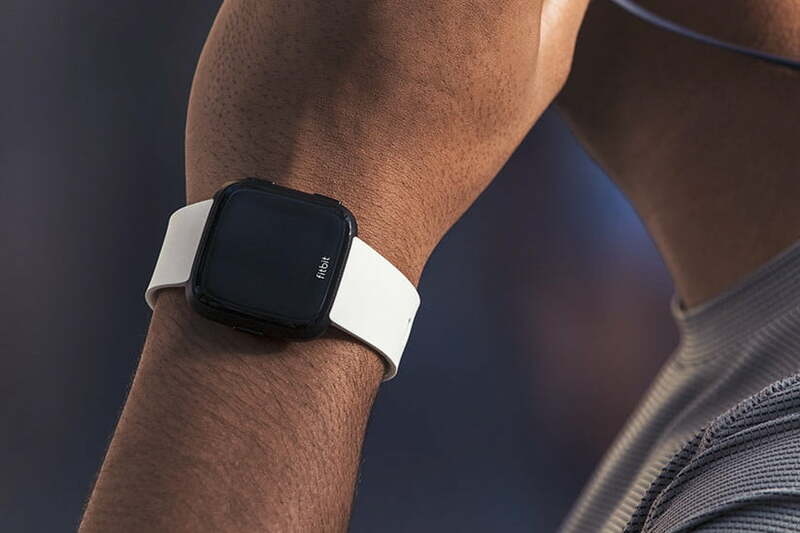 Unfortunately, it’s not available as a standalone replacement band, however, if you haven’t purchased your device yet, it may be worth paying the extra $30. The Special Edition comes with this woven athleisure band which is perhaps the best fitness-lifestyle crossover band Fitbit offers. The brand’s already said it won’t make the woven band available separately so if you like it, purchasing it with your device is the way to go. It’s currently available in charcoal with a graphite aluminum case or lavender with a rose gold aluminum case. 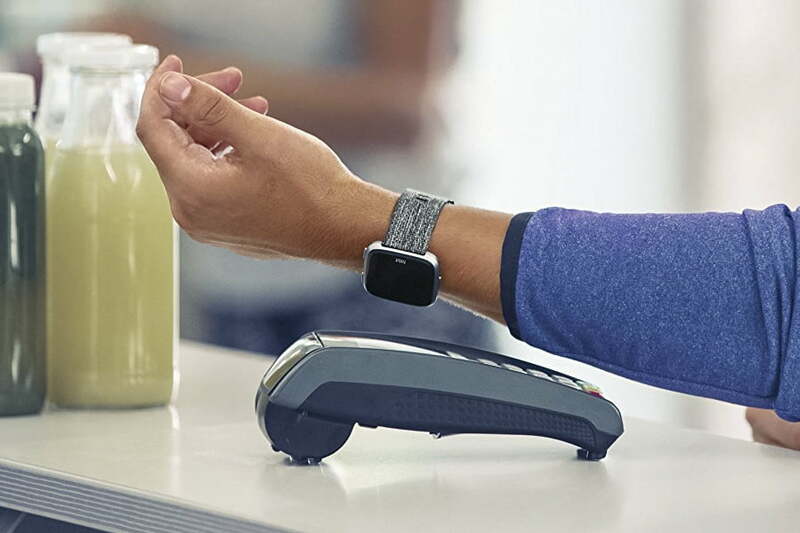 As a bonus, the Special Edition watch has an NFC chip that lets you make payments via Fitbit Pay.